Venezuela’s main opposition parties are banned from taking part in 2018 presidential election, President Nicolas Maduro has announced. The president said only parties which took part in December 10 mayoral polls would be able to contest the presidency. Opposition leaders from the Justice First, Popular Will and Democratic Action parties boycotted the vote because they said the electoral system was biased. Nicolas Maduro insists the Venezuelan system is entirely trustworthy. In a speech on local polls day, he said the opposition parties had “disappeared from the political map”. Two months ago, the three main opposition parties announced they would be boycotting December 10 vote, saying it only served what they called President Nicolas Maduro’s dictatorship. Nicolas Maduro says his party won more than 300 of the 335 mayoral races being contested. The election board put turn out at 47%. Venezuela has been mired in a worsening economic crisis characterized by shortages of basic goods and soaring inflation. 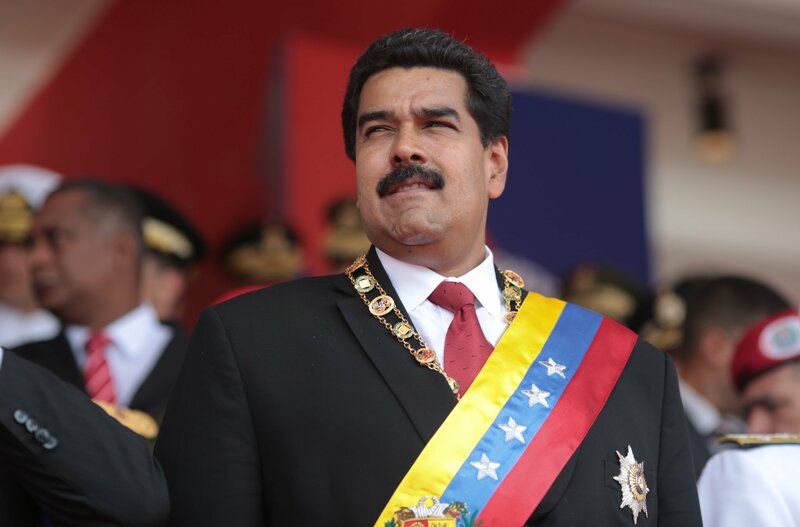 Presiedent Maduro said he was following the criteria set by the National Constituent Assembly in banning opposition parties from contesting next year’s election. However, the assembly, which came into force in August and has the ability to rewrite the constitution, is made up exclusively of government loyalists. Opposition parties see it as a way for the president to cling to power. The presidential vote had been scheduled for December 2018, but analysts say it could now be brought forward. Venezuela has a population of more than 30 million people. It has some of the world’s largest oil deposits as well as huge quantities of coal and iron ore. Despite its rich natural resources many Venezuelans live in poverty. This led President Nicolas Maduro’s predecessor, Hugo Chávez, to style himself as a champion of the poor during his 14 years in office. Now the country is starkly divided between supporters of President Nicolas Maduro and those who want an end to the Socialist Party’s 18 years in government. Nicolas Maduro supporters say his party has lifted many people out of poverty, but critics say it has eroded Venezuela’s democratic institutions and mismanaged its economy.